Patrons! 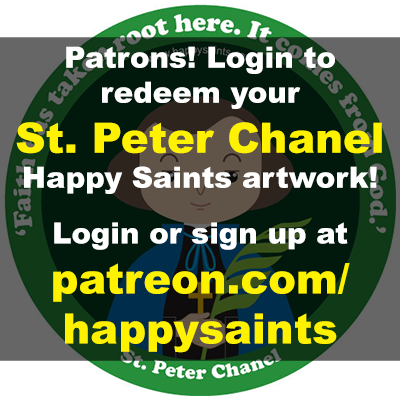 Login to redeem your St. Peter Chanel Happy Saints artwork! 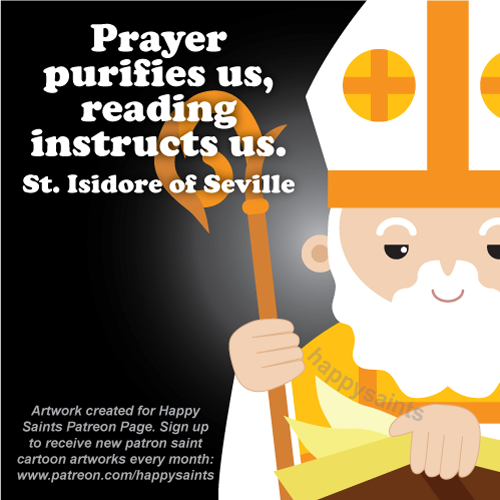 Login or sign up at www.patreon.com/happysaints to receive new patron saint cartoon artworks every month. 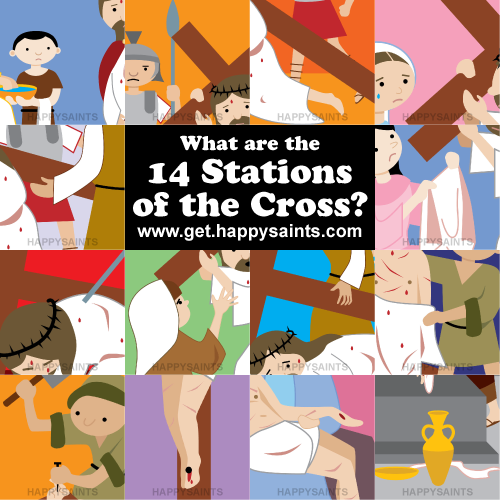 Get to know great Catholic Saints with the Happy Saints Activity eBook! 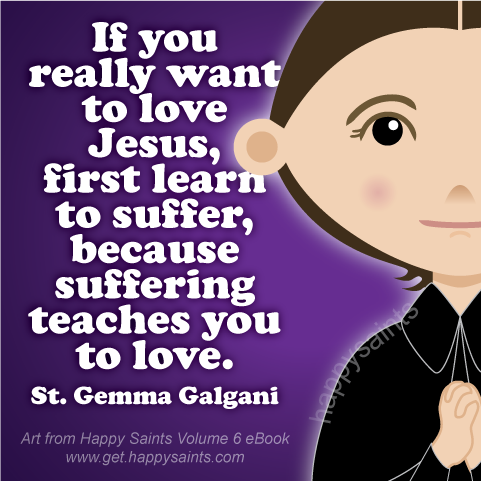 Get to know great Catholic Saints with the Happy Saints Activity eBook! 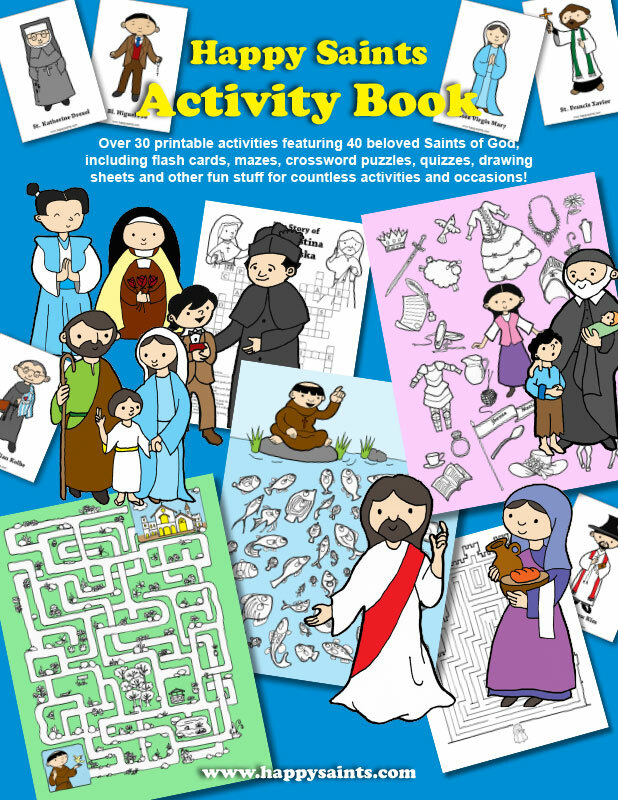 Over 30 printable cartoon activities featuring 40 beloved Saints of God, including flash cards, mazes, crossword puzzles, quizzes, drawing sheets and other fun stuff for countless occasions! 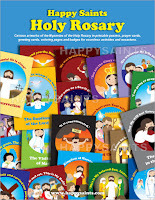 Great for Catholic religious education programs and activities! 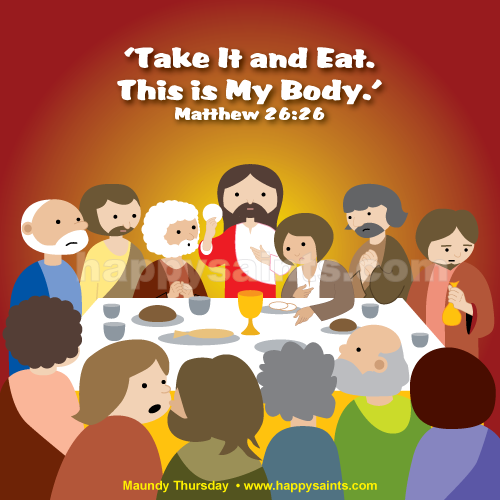 For parents, teachers, catechists, children and families! 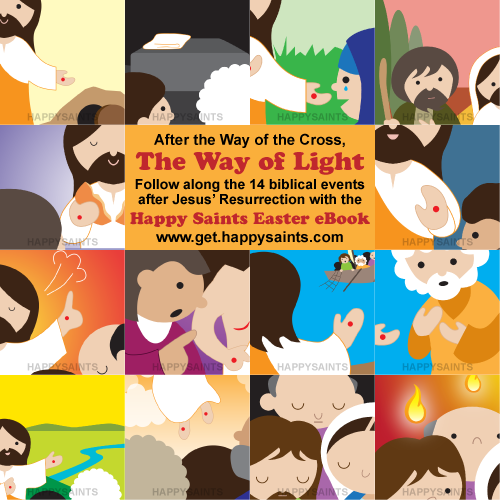 After the WAY OF THE CROSS, comes the WAY OF LIGHT! 20% off all ebooks! Happy Saints Easter Octave Sale! 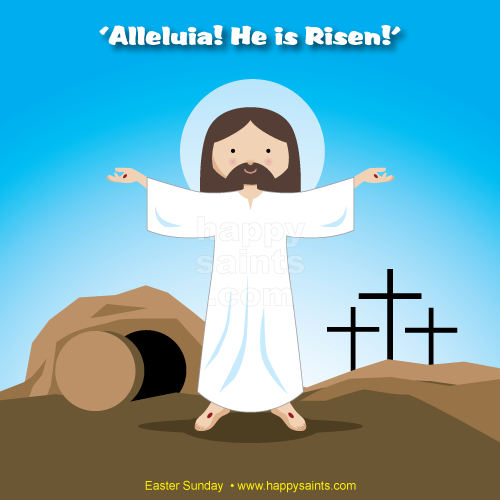 Wishing everyone a very blessed Easter! 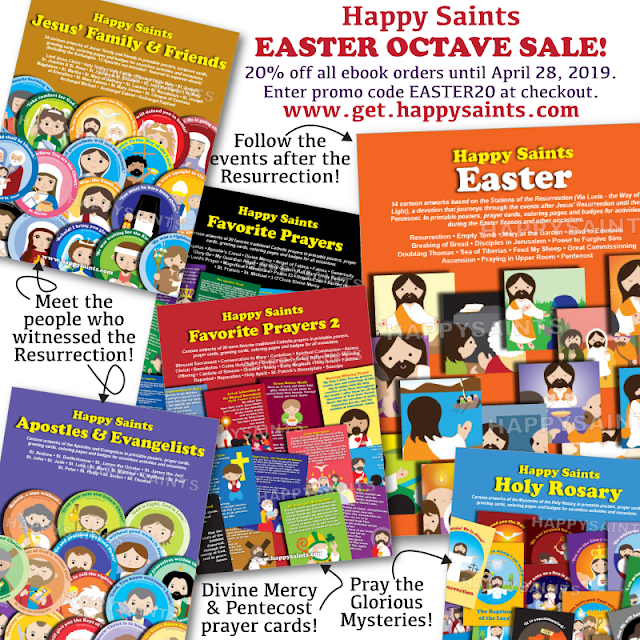 It's time for the Happy Saints EASTER OCTAVE SALE! 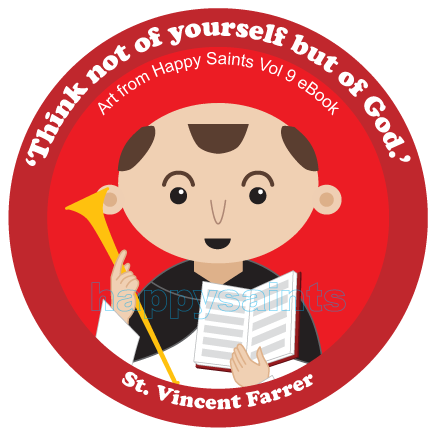 20% off all ebook orders from now until April 28, 2019. 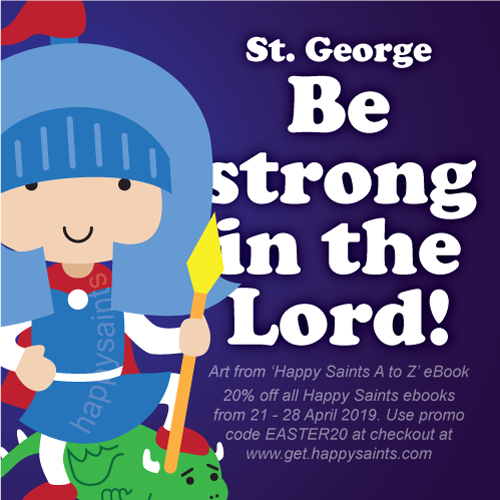 20% off all Happy Saints ebooks. 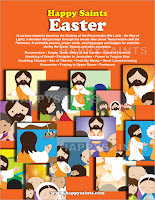 Enter promo code EASTER20 at checkout at www.get.happysaints.com. Valid until April 28, 2019 only. 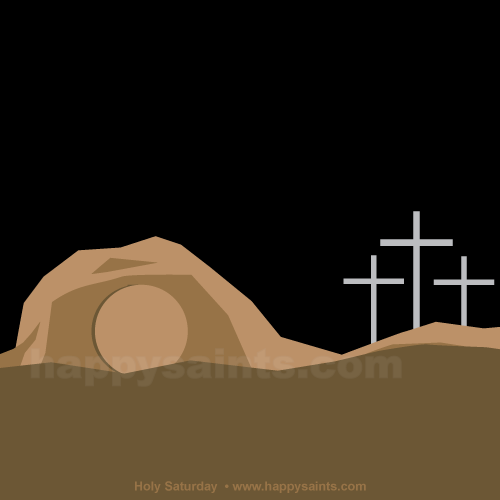 “He is not here; He has risen, just as He said"
Prepare for the Easter Season with the Happy Saints Easter eBook! 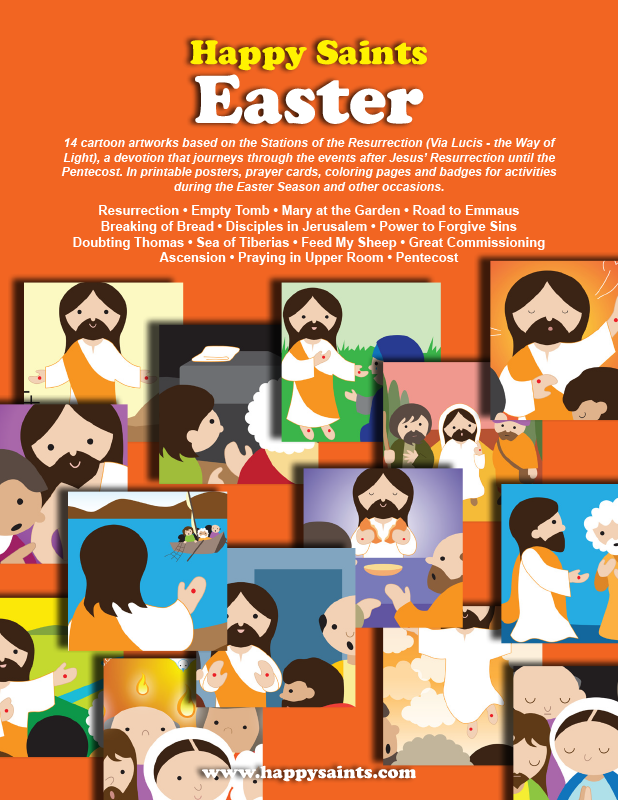 Featuring 14 cartoon artworks based on the Stations of the Resurrection (Via Lucis - the Way of Light), a devotion that journeys through the events after Jesus’ Resurrection until the Pentecost; with short Gospel passages and simple prayers. 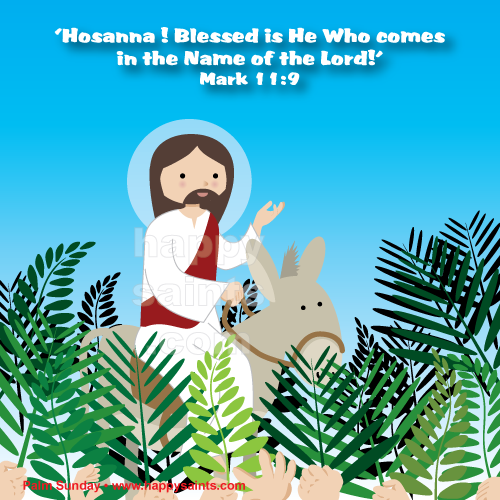 "Hosanna! Blessed is He Who comes in the Name of the Lord!" 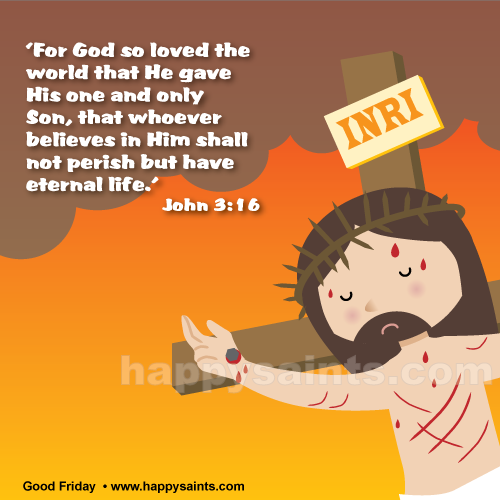 What did Jesus say on the cross? 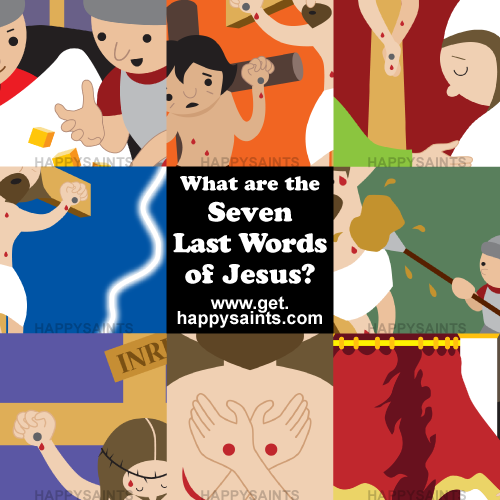 This Holy Week, gather your family, students and parishioners to reflect on the 7 LAST WORDS OF JESUS with the 'Happy Saints 7 Sorrows & 7 Last Words' ebook. 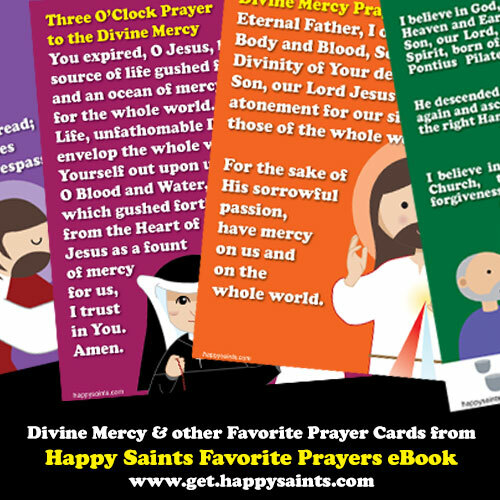 25% off Favorite Prayers eBooks 1 & 2 until Easter Sunday! 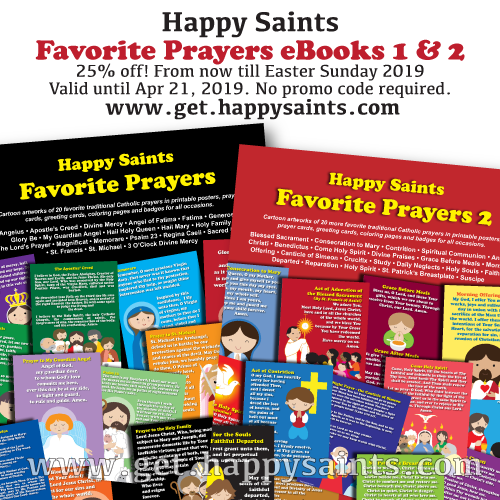 Get 25% off Happy Saints Favorite Prayers eBook 1 & eBook 2 from now until Easter Sunday! 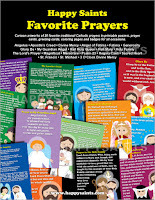 Happy Saints Favorite Prayers eBook 1 & eBook 2 feature cartoon artworks of favorite traditional Catholic prayers in multiple printable formats i.e. 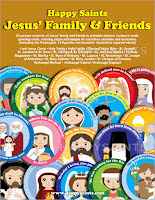 8 inch x 10 inch posters, prayer cards, greeting cards, coloring pages and badges for countless activities and occasions. 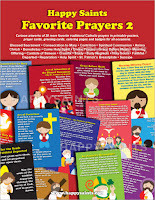 Very useful resource to educate and encourage kids and the young-at-heart to pray. 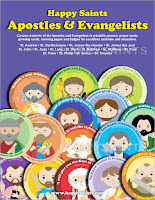 Great for parents, teachers, catechists, children and families!